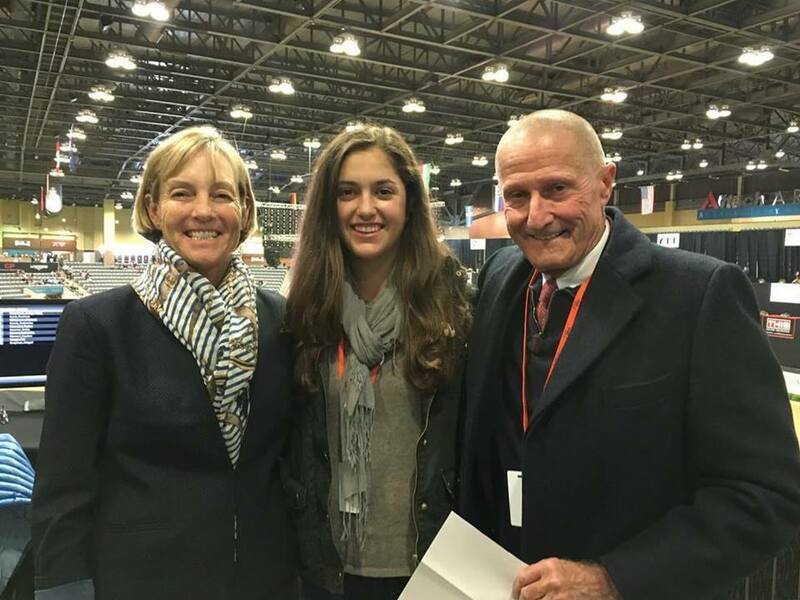 I enjoyed doing commentary on the Maclay Finals with George Morris and Mckayla Langmeier and Jumper classes with John Kyle at the National Horse Show in November. 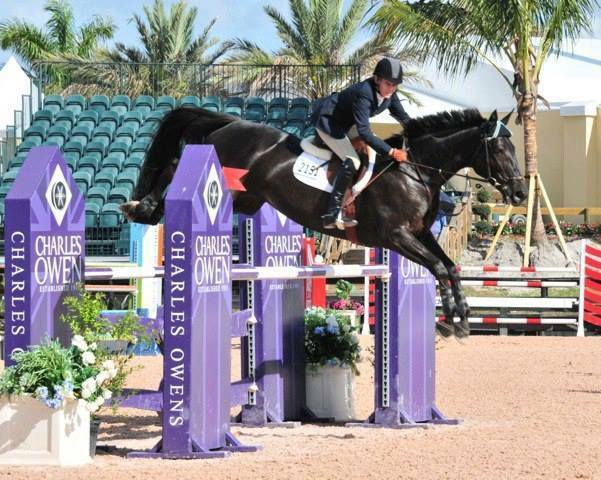 Congratulations to Hunter Holloway on winning the Maclay Finals! She was outstanding and I am very proud of her. Spending those days at the National Horse Show watching the future of our sport was inspiring! It was incredible to see kids of all ages competing in the Equitation Championships, the U25 Championships, some already in the International division and even the World Cup Qualifier. The U.S. has a very talented group of young riders working their way up the ladder! Our future looks bright! I recently taught clinics at my farm, Market Street in Frenchtown, NJ, Hobby Horse Farm in Denver,CO and the Equine Pavilion in Park City, Utah. It is very rewarding for me to help riders and their horses from all over the country. At each of my clinics, the riders were open to learning and trying new things. I saw great improvements as each clinic progressed. I love to help them grow and see new possibilities! I especially enjoy the November Market Street clinic at my home because I can share my teaching, and how our horses are cared for at Market Street. I am proud of my team and happy to show the standard we maintain. Many of my sponsors attended - Roy Burek with Charles Owen, James Sardelli with Hermès, Brian Solomita from Beval Saddlery, Mary Kate from ADT Tack and Cathy Sacher from Essex Classics. Several who couldn't attend in person sent fabulous products to raffle off! Roy gave an excellent informational talk on day 2 about helmet safety and concussion. Visit my Facebook page to see photos and videos clips from the clinic. I am looking forward to being a clinician at the 11th annual George H. Morris Horsemastership Training Session in Wellington, Fla., January 3-7, 2017. For those that can not attend, it will be live streamed on USEF Network. Read more about the riders and schedule. Be sure your hunt cap or helmet fits properly! Don't just buy a helmet because someone famous or all of your friends are wearing a certain type. Find one that really fits your head well. Charles Owen is my helmet sponsor. They have numerous designs and shapes to fit various head shapes. I wear their GR8 and love the fit. First of all, the fit is all about safety. A properly fitted helmet will stay in place to protect your head if you fall. The chin strap needs to be snug enough to keep it in place. Secondly, that it is not moving around on your head when you are riding. I see riders adjusting their helmets after a jump, or in a turn, because it's slipped down over their eyes! This is unsafe and a huge distraction when you need to be looking where you are going and focusing on the next jump. Thirdly, it should be comfortable. I can wear my helmet all day if necessary. You should not have a red spot on your forehead or any pain from it. I also recommend reading this article from Charles Owen about Choosing the right helmet. Join Anne's online instructional website! 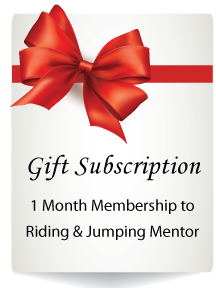 Go to www.Ridingandjumpingmentor.com for more information about becoming a Riding and Jumping Mentor member. A library of flat work and jumping video tutorials with NEW videos added monthly. Videos of Anne riding while lecturing. A wealth of articles to help you on your path to becoming a better rider. Ask Anne Forum: Each month Anne will answer your riding and training questions. Membership is $29.99 per month or $299.99 per year. 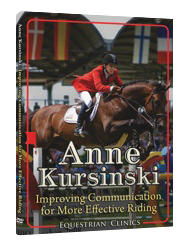 Anne's book and DVD are great gifts for yourself and the riders in your life! 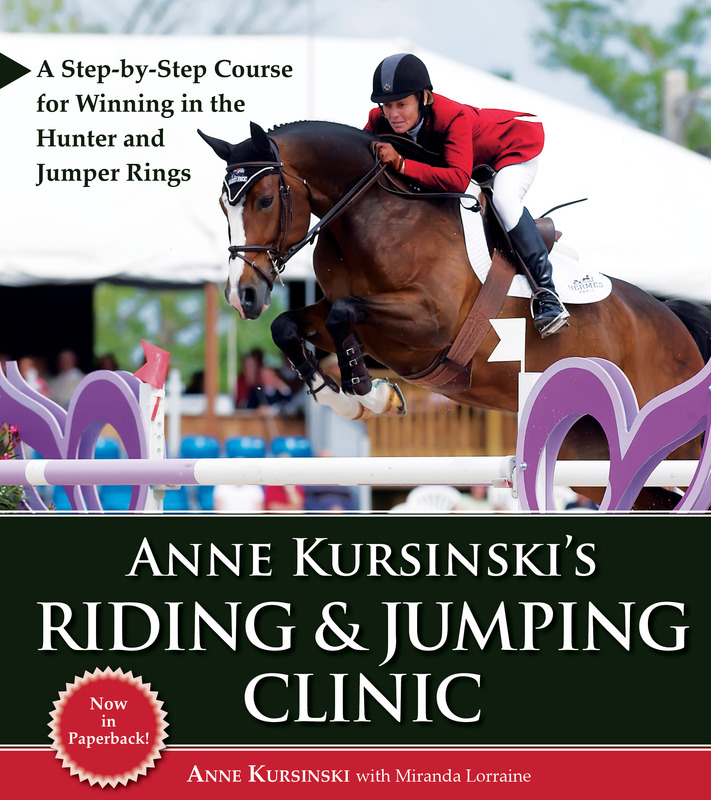 Olympian Anne Kursinski's acclaimed book on riding horses over fences delivers on-target counsel and the kind of sophisticated, quality instruction you can only get in top barns around the world. New students and ship-in lessons are always welcome. Anne is available to teach clinics at your farm. For more information, call 908-996-6205 or e-mail marketstreetinc@yahoo.com. Copyright © 2015 Anne Kursinski, Riding and Jumping Mentor, All rights reserved.